When it comes to coffeemakers, Keurig is one of the most popular brands, which is exactly the reason why many online reviews pinpoint to the company as one of the best within the product category. Since the time the company has been established, it gained reputation as the “King of Single Cup Coffee.” Its name is derived from a Dutch word, which literally means excellence in English. This is exactly what they are doing – excelling in the product category and spearheading the competition, making the company a name that is hard to match. 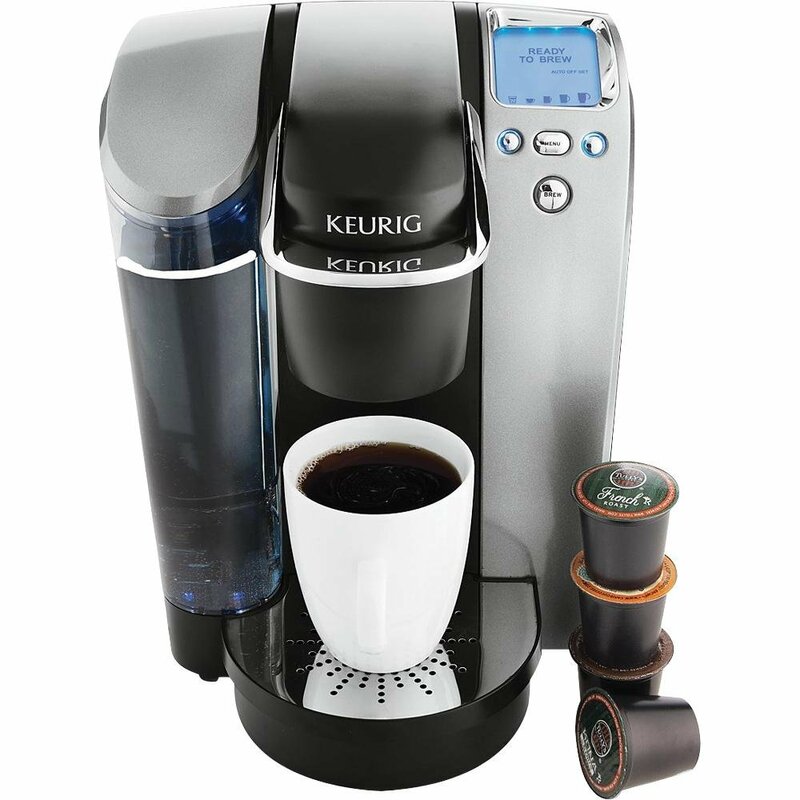 When looking for the best Keurig coffee maker, you will be confronted with a variety of options. From different sizes to varying features, you might end up being overwhelmed. To pick the right one, it is important to first start with how much budget you are willing to spare. Think as well if it is going to be used at home, in the office, or for commercial purposes. Compare the different models from their product line and weigh their pros and cons. Do you need help in choosing the best from Keurig? There is no need to look any further. Keep on reading the rest of this buying guide and we will provide you with insights on the important factors to consider, and more importantly, the top models that are sure to provide the best bang for the buck. If you ate feeling a bit lazy to do your research, we have done the work for you! Here are three of the best models from Keurig that you will definitely not regret choosing. If you are looking for a coffeemaker that is perfect for home use, this is one option that should be taken into consideration. It might be a bit bulky, but it is sure to be an excellent addition in the kitchen given the fact that it can provide you with quick and easy access to your caffeine fix. One feature that is worth highlighting about this model is its one-touch control panel. This is one of the reasons why you can expect this to be user-friendly. With just one touch, the unit will start brewing on its own. Even if you are doing something, you can just leave it and when you come back, your coffee is ready to be devoured. The best thing is that it comes with an automatic shutoff feature, which will allow it to turn off on its own if it is left idle for a certain period. The unit comes with a 60-ounce reservoir. It may not be large, but it is already good enough for most households. This can hold enough water for brewing 10 cups. Many of its users have also expressed a high level of satisfaction when it comes to the LED control panel, which also happens to be illuminated. This is excellent not only in terms of aesthetics, but also functionality. It will make it easy to monitor the settings and functions of the coffeemaker. You will also be impressed with the quiet brew technology that is integrated in this model. This means that its use is not going to be disruptive in any way as it is not going to make an annoying noise while it is brewing your coffee. Based on the reviews about this coffeemaker, it is pretty much obvious that you will not run out of features to have it considered above other models. One thing that makes it impressive is the illuminated LED control center, which will provide you with notifications to monitor how the unit brews your coffee. There is a red light that will flash to indicate that it is in the process of brewing. When it is turned off, it means that your coffee is ready to be enjoyed. You can enjoy versatility in the case of this model. Not only that you will be able to choose from hundreds of K-cups that are compatible with the unit, but you will also choose your cup size. You can set the size of the cup in 6, 8, or 10 ounces. When it comes to speed, this is also going to be an exceptional choice. As it has been stated by the past users of the product, it can brew your coffee within just less than a minute. With this, you do not need to wait for a long time before you can have your much needed dose of caffeine. It is also very easy to use. Simplicity was given emphasis in the design of this product, even beginners will surely not have a hard time in making the most out of this powerful machine. All that you have to do is to insert the K-cup, choose the brewing settings, and wait until it is finished. The 1,500-watt motor will make sure that brewing will be quick. However, there are also some drawbacks that have been noted about this model. For instance, there are some people who did not like that the maximum temperature is only 192 degrees Fahrenheit. This means that your coffee may easily get cold. Affordability is one of the reasons why you should choose this model above its competitors. It is a budget-friendly option for anyone who is looking for an entry-level coffeemaker. Because it is affordable, however, you can expect that the features will be very basic. If you are looking for one that can be used at home, this is more than enough. It also excels when it comes to being user-friendly. Because the features are basic, no complications can be experienced. There is a brew button on the front of the unit. Just press it when you are ready to brew and wait until it is ready for you to drink. Even when it comes to cleaning, it can be impressive. There is a removable drip tray to collect drippings instead of being scattered. This also means that you can use even taller cups. If you are looking for a product that can offer versatility, this is also going to be a good choice. 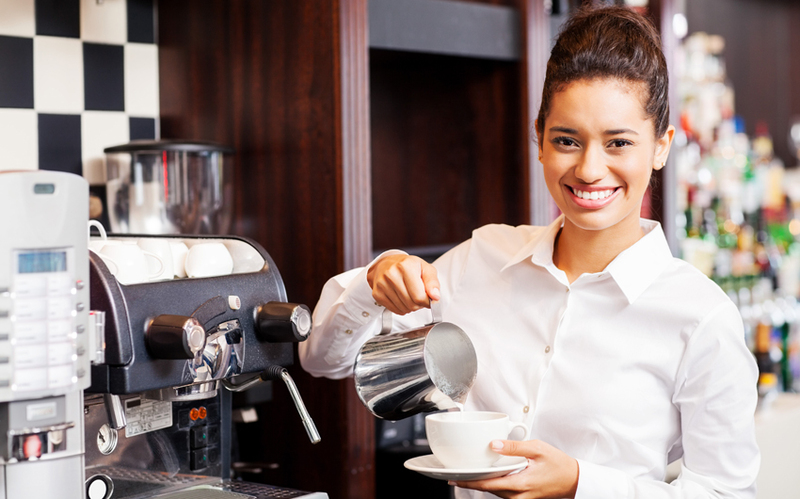 While it is technically called a coffeemaker, it can also be used for different drinks, such as hot chocolate, and even for preparing iced beverages. However, in spite of the good things that you can expect from the use of this Keurig coffeemaker, there are also some drawbacks. For instance, there are some people who did not like how it does not have the Quiet Brew technology, which means that you can expect it to be noisier than other models from Keurig. It also takes two minutes to brew one cup of coffee, unlike other models that take at least one minute. In this section, we will provide you with insights on some of the most important factors that should be taken into account, making it easier to end up with an option that you will not regret choosing. This is the most popular from Keurig and is known for the wide selection of the K-cups that are available, which keeps on growing year after year. The good thing about this coffeemaker is that it can be used for brewing other beverages, such as iced tea and hot chocolate. All of the models within this category have automatic shutoff and one-touch functionality, which contributes to its ease of use. 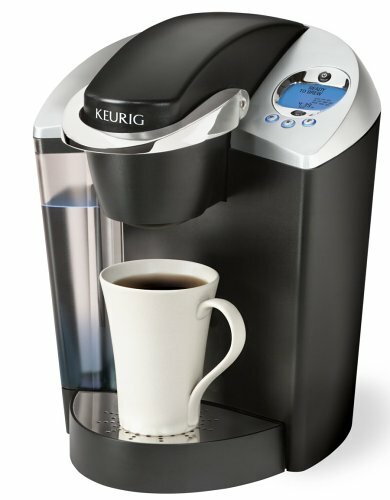 This is the second generation of brewing systems from Keurig and introduced only in 2012. All of the models within this category are equipped with removable water reservoir, making them easy to clean. They have a recyclable cup and they will brew your drink in less than one minute, which makes it an excellent option in terms of speed. This was launched in 2012. It is ideal for brewing espresso-like coffee. It is also multifunctional as it also comes option for milk and non-dairy liquid frothing. One of the problems with this product line is that the options for accessories are limited since it is newer, especially as compared to Keurig K-Cup Brewing System. Adjustable Temperature: Most of the options have temperature that can be adjusted to up to 192 degrees Fahrenheit, with some offering even higher temperatures. Brewing in higher temperature will have an effect in the quality of the coffee, and more importantly, on how long it will remain hot. Digital Display: This is one of the innovative features that should be present in the Keurig coffeemaker. With the digital display, you will be able to see the information clearly on the screen. It will show details that you have to know, such as the temperature and brew settings. It will also be good if it is illuminated or backlit so that you can see it easily. Energy Saving Mode: This is going to make sure that energy consumption is going to be minimal. One feature that will make this possible is the automatic shutoff feature. After a certain period of time, when the unit is left idle, it will automatically turn off on its own. This means that lesser energy will be consumed. K-Cup Compatibility: You should also consider if it is compatible with K-Cup. The Keurig K-cup Brewing Systems are compatible with such. There are some models, however, that are used exclusively for coffee grounds and not disposable cups. Quiet Brew Technology: Even if coffeemakers are small, it is surprising that they can make noise. This can be annoying and disruptive, especially if the coffeemaker will be used in the office or in a small dormitory. In this case, you need to choose one with Quiet Brew Technology. This is an innovation that has been exclusively developed by Keurig to make sure that their coffeemakers will have whisper-quiet operations. Touchscreen Display: This is a feature that is commonly found in the higher end models. One of the best things about having touchscreen is that it is user-friendly. Rather than having buttons, the screen will have the operating platform that you need to use the coffeemaker. Water Filtration: Most people would definitely be concerned about the quality of the coffee beans that they use because this will have a huge impact on the quality of the drink. Another factor that is important is the quality of water. With this, a filtration system is important to be built-in on the coffeemaker. This will effectively get rid of impurities for cleaner and fresh-tasting water. Removable Drip Tray: The tray will catch the drippings from the mouth of the coffeemaker, which means that the table or the countertop will be mess-free. Another good thing is that it will be able to accommodate even taller mugs. Cup Size: If you are looking for versatility, find a Keurig coffeemaker that will provide you with several options when it comes to the cup sizes that it can brew. Generally speaking, they can brew anywhere from 6 to 12 ounces, depending on what you personally prefer. Reservoir: This will refer to the size of the tank that is integrated in the coffeemaker. It is better if you will choose one that comes with a larger tank, which means that there is no need for frequent refilling of water. This is especially true if it is going to be used in an office or large household. Should you buy a cheap one or invest in an expensive model that has superior functionality and quality? Without a doubt, you should not hesitate to spend more if doing so means that you will enjoy a better product. Price should be the least of your concerns. Keurig has a wide selection of models that are competitively-priced, yet they do not run out of features that will leave you impressed. You should choose a Keurig coffeemaker that is user-friendly. Thankfully, almost all of their products from the said manufacturer are easy to operate. They have buttons that are carefully placed so that they are easy to access. The manufacturer also provides comprehensive instructions. There are some plastic parts in Keurig coffeemakers, but most are made with the use of high-end materials. It is important to take into consideration the materials because they influence not only the looks, but also the durability of the product. If a product catches your attention, you have a good reason to choose it. Pick one that will perfectly complement the interiors of the kitchen, office, restaurant, or in any other place where it is intended to be used. However, while aesthetics is going to be an important consideration, keep in mind that functionality should never be compromised in any way. A better option is a coffeemaker that comes with an extensive warranty coverage. This means that you can rely on the support of the manufacturer in case defects or problems with craftsmanship will be experienced. Nonetheless, you should also remember that there are certain conditions that the manufacturer will specify for the warranty to be valid. For instance, the problem must not be a result of something at which you are to be blamed, such as accidentally dropping the coffeemaker. To optimize the functionality of your coffeemaker and to make sure that it is going to be useful through the years, you must have it well-maintained. Choose a model that will be effortless for you to clean and maintain. It will be good if it is dishwasher-safe. It will also be good if there is a rinse feature. This will make it easy to flush out any aftertaste that could have been left after brewing your coffee. There should be immediate notification for descaling. This will help you to remove any sediments that can affect the quality of your coffee. To be versatile, it must be useful for different applications, more than just for brewing your coffee. 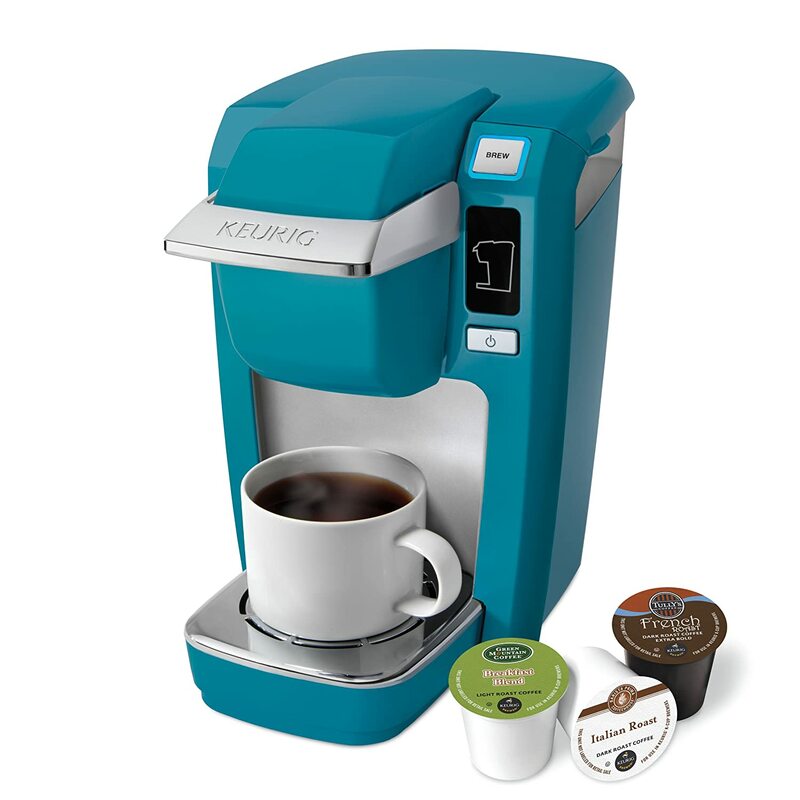 There are Keurig coffeemakers that can also be used for hot chocolate and iced drinks, among other beverages. Some can even be used even for brewing hot water. Another feature that will make the Keurig coffeemaker versatile would be the ability to choose the specific brew strength. The users must be provided with complete control on how light or strong they would like their coffee to be. If you want to be provided with the best value for money, choose one that is versatile so that it can be more useful. This will depend on where it will be used. For instance, if it is going to be used in the conference room or office pantry, a larger size will not be a problem. It is especially important for the tank to have generous size so that there is no need for frequent refilling. Meanwhile, if it is going to be used at home, specifically for a small kitchen, look for one that comes with a compact design so that it is going to be space-efficient. Indeed, your search for the best Keurig coffee maker is not going to be an effortless undertaking. The company may be known for their excellent products, but if you have to choose just one, you might end up with a big challenge on your hand. Almost all of their products are superior in terms of quality and functionality. They are hard to rival by any other existing brand on the market. It pays to be responsible enough to differentiate the possibilities and consider your specific needs to find the right model. If you have no idea on which one can prove to be the best, go back to the short reviews that we have earlier provided. Consider the features that we have mentioned, as well as the pros and cons for the three models that we have discussed. Based on our independent evaluation, which will be supported by the product reviews that you can find online, these are indeed some of the top picks that you can take into consideration.